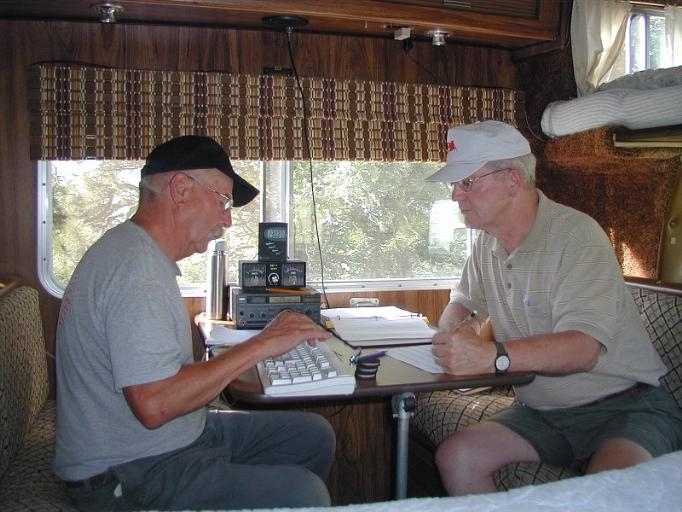 Each June, amateur radio operators everywhere take to the airwaves for one of their most important exercises. 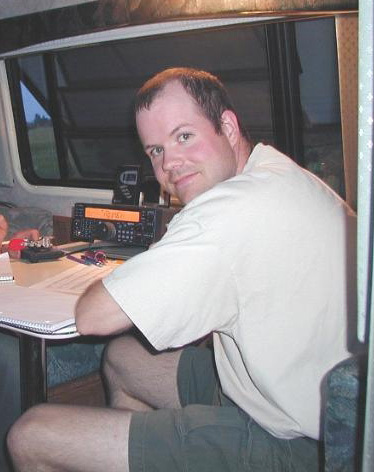 "Field Day" takes place during a 24-hour period, challenging operators to erect antennas and broadcast without the convenience of commercial power sources. 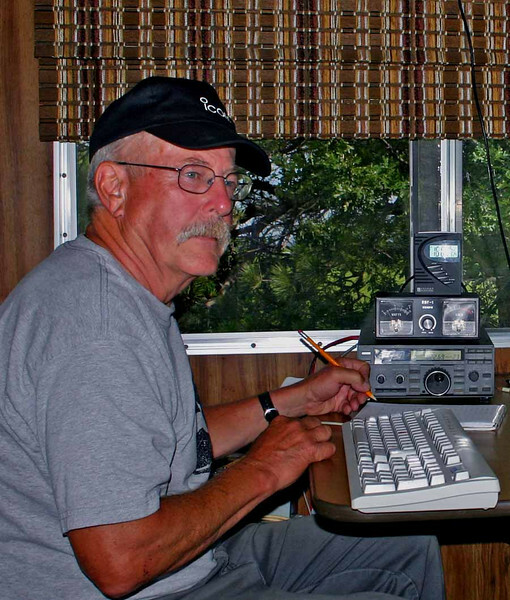 An effort is made to make contact with as many fellow amateur operators as possible. 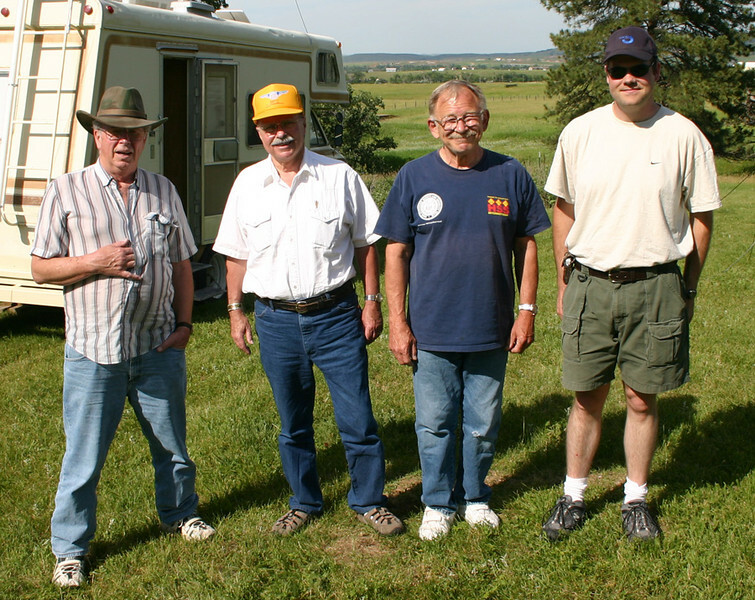 A few Spearfish "hams" gathered at the "QTH" of Don Matthesen, KØHP, and many of them are shown in these photographs. Thanks to Bob Weaver, KØGZL, for contributing several of these shots. Click on each image to see a full-sized photograph. 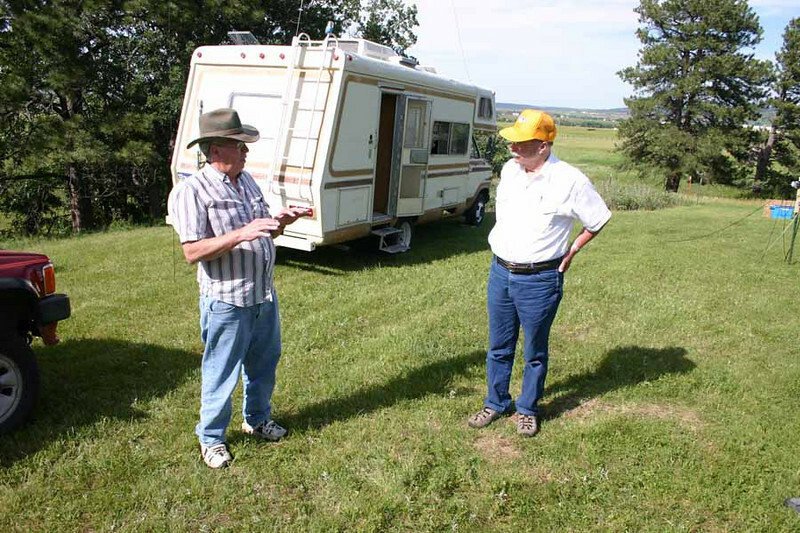 It's hard to imagine a nicer setting for Field Day than Don Matthesen's location near Spearfish. 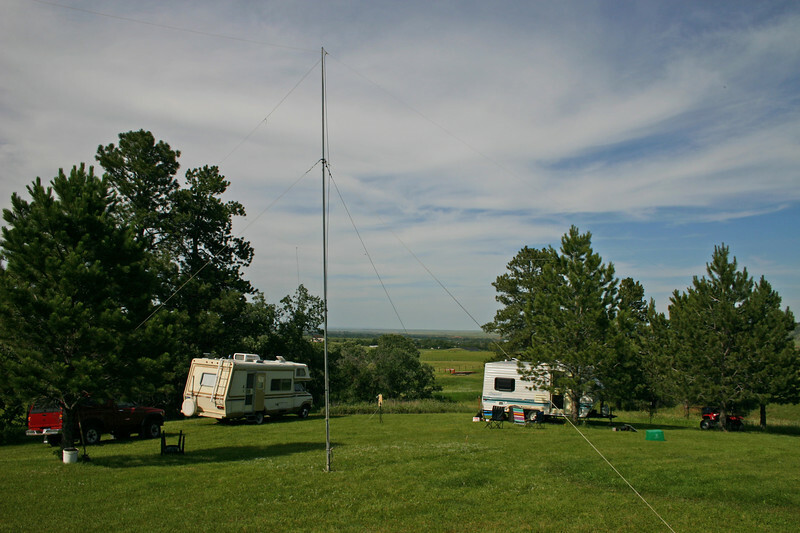 There were plenty of trees to help anchor several dipole antennas. 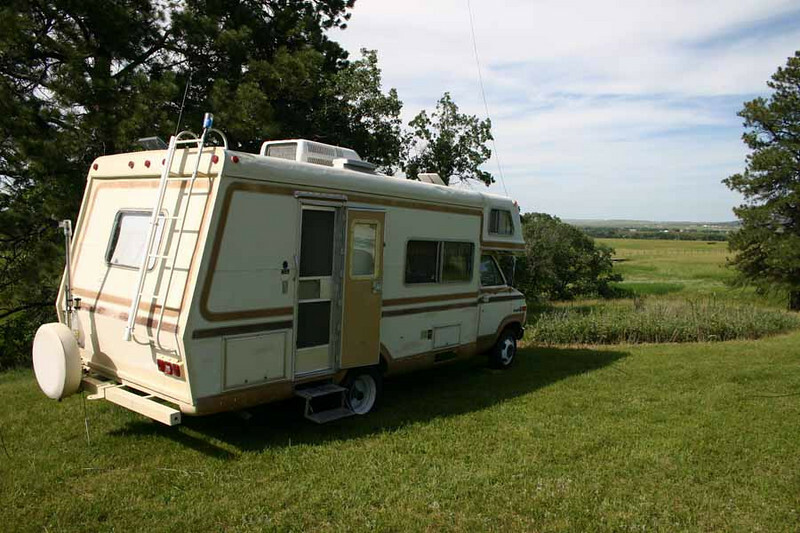 Also a nice field in which to park campers, erect a mast, hook up a generator, and position a solar panel! 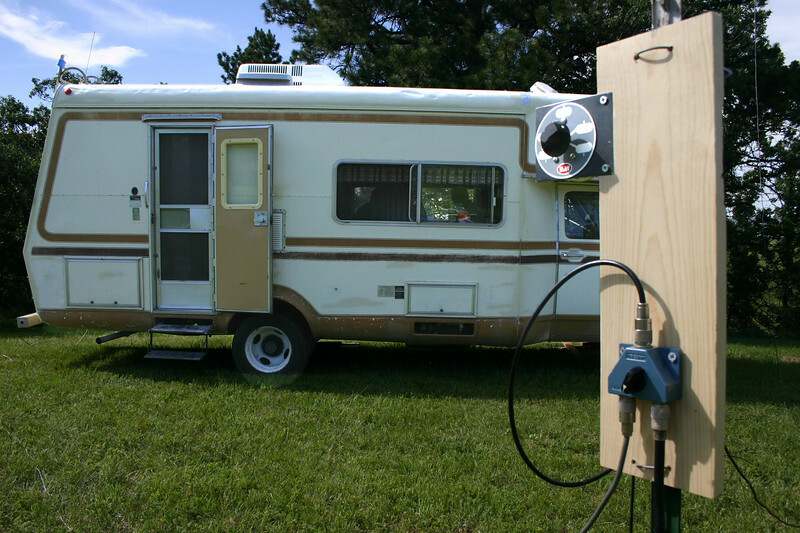 KØGZL and KØHP provided campers for shelter and operations. 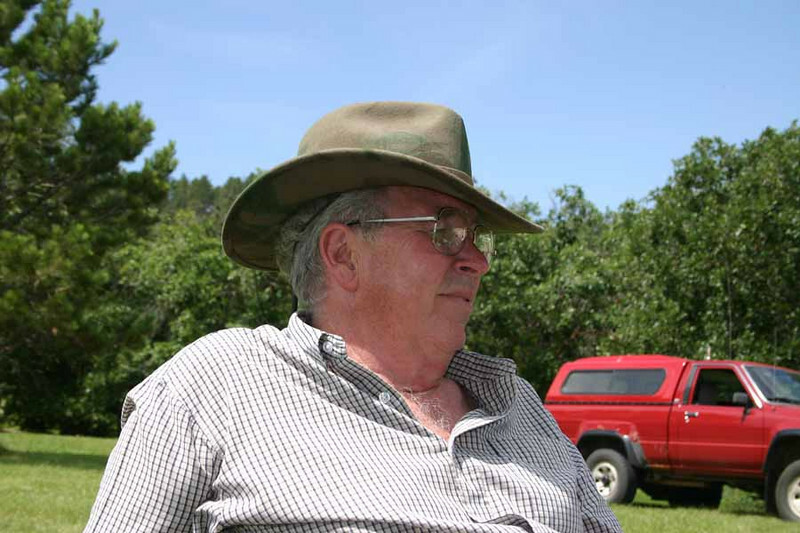 This is Bob Weaver's unit. 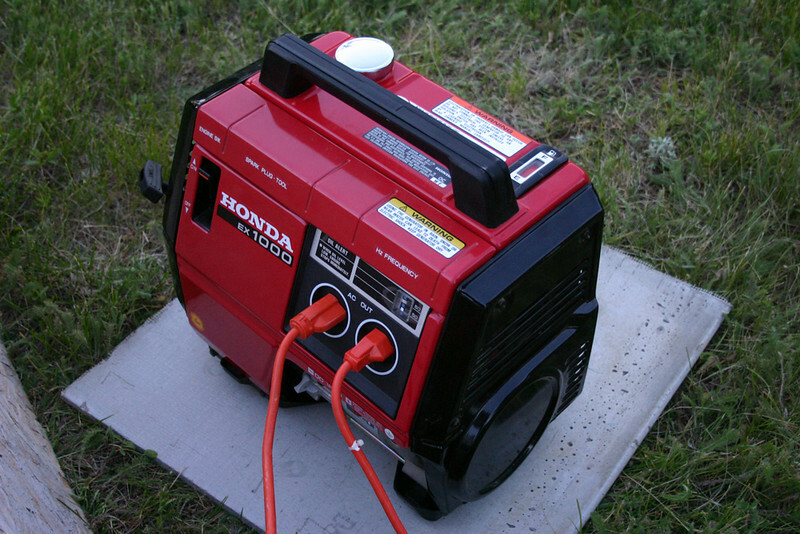 Don's Honda 1000 portable generator carried the lion's share of the load in supplying transmitter power. Any good ham knows that body language counts extra points. 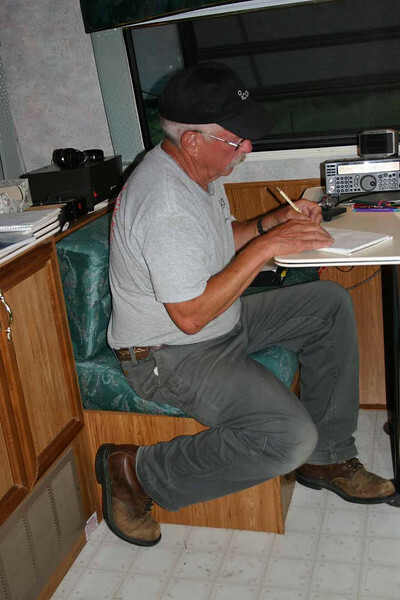 We didn't see Don tapping his toes, keeping rhythm to the CW traffic -- but he was ready! 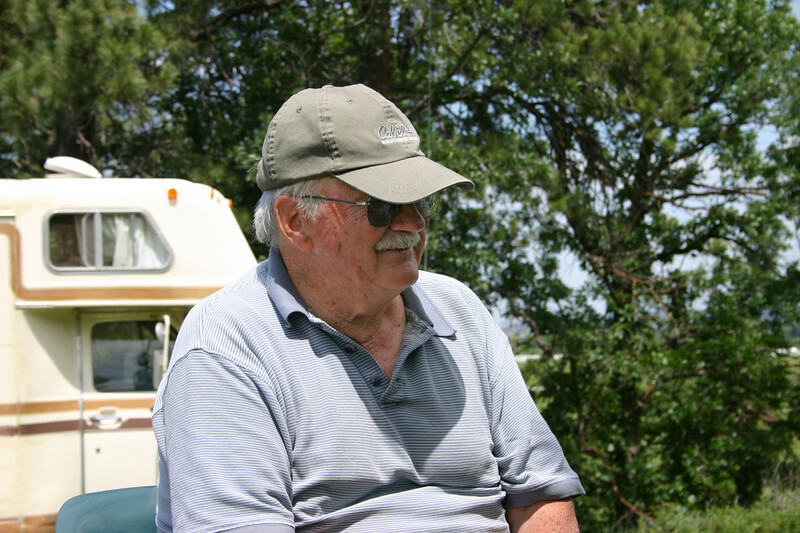 Overall, the weather was warm but hospitable. 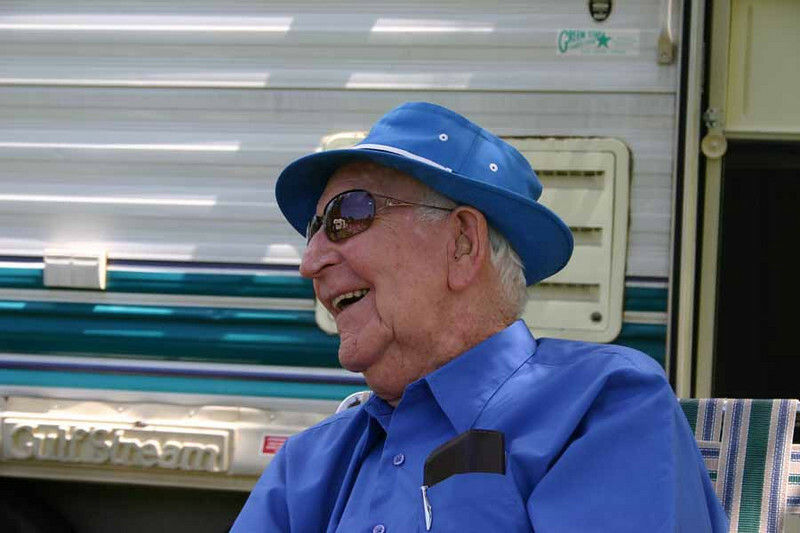 Daytime breezes made it right tolerable, although a small fan helped circulate air inside Bob's camper. Arne was among the minority of this group. He was just about the only right-hander. 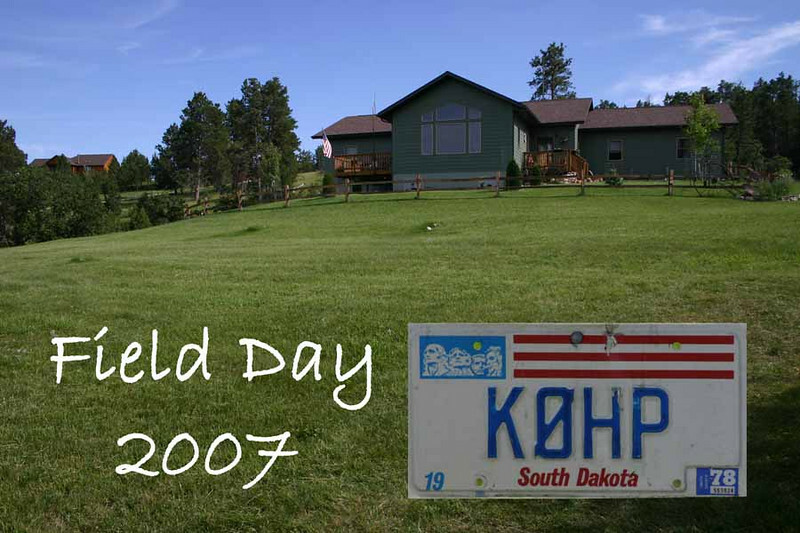 The first Field Day for newcomer Ryan Jennings, KCØGKF, who pulled a couple of shifts during the 2007 event. Well done, Ryan. 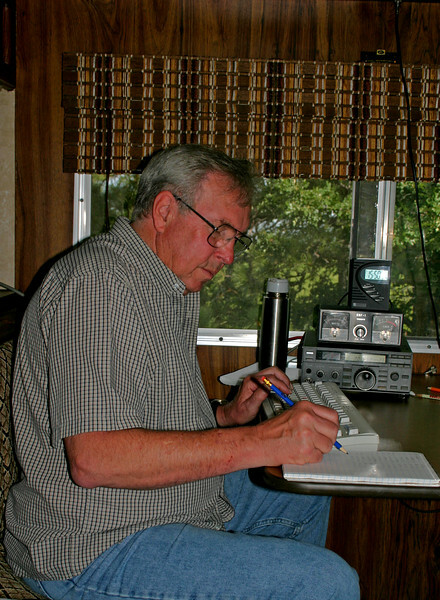 Working 20 meters during Field Day. 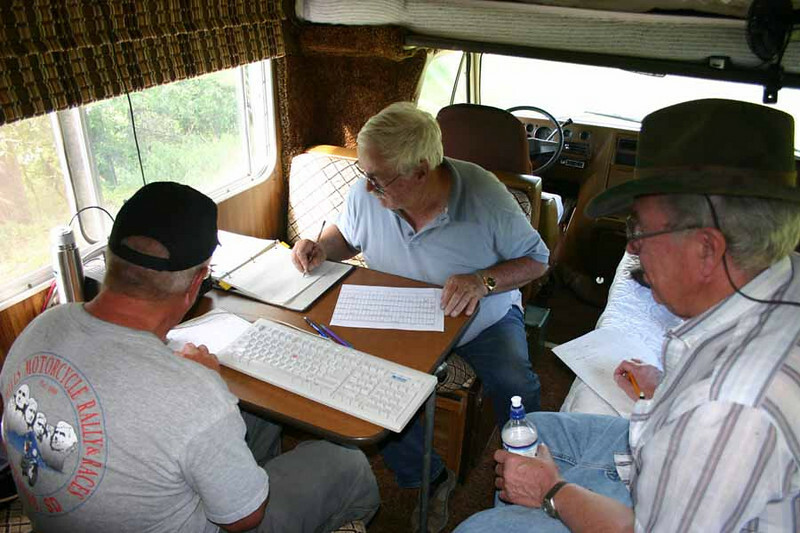 Don Matthesen (left) operates, while Larry Miller does the logging. 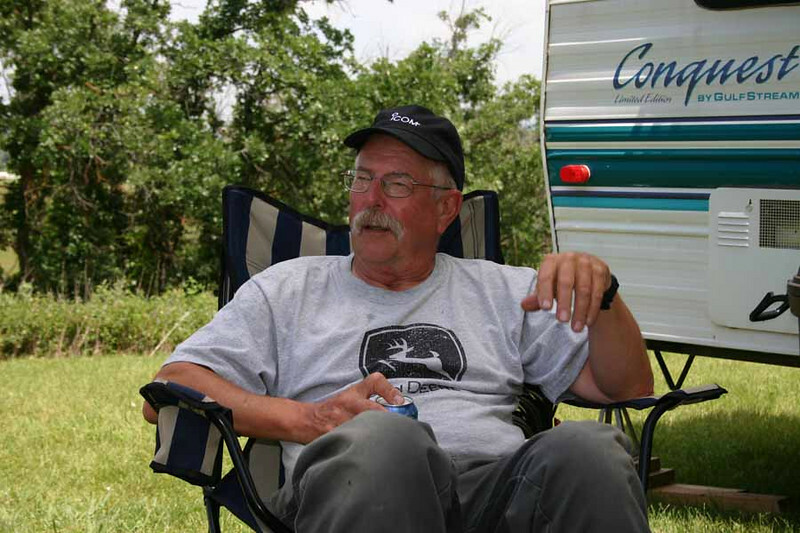 Arne and George discuss the finer points of Field Day. 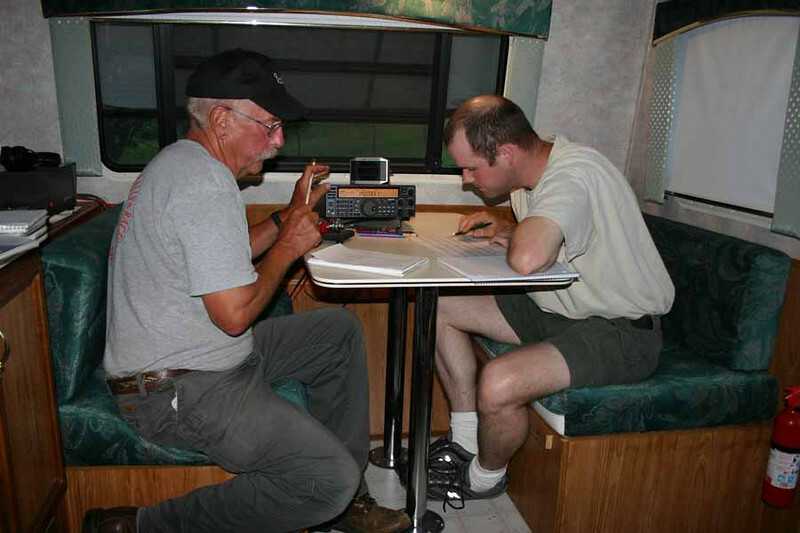 Inside his trailer, Don Matthesen, KØHP, teams up with Ryan Jennings, KCØGKF, for late evening Field Day operations. Even hams have to eat. 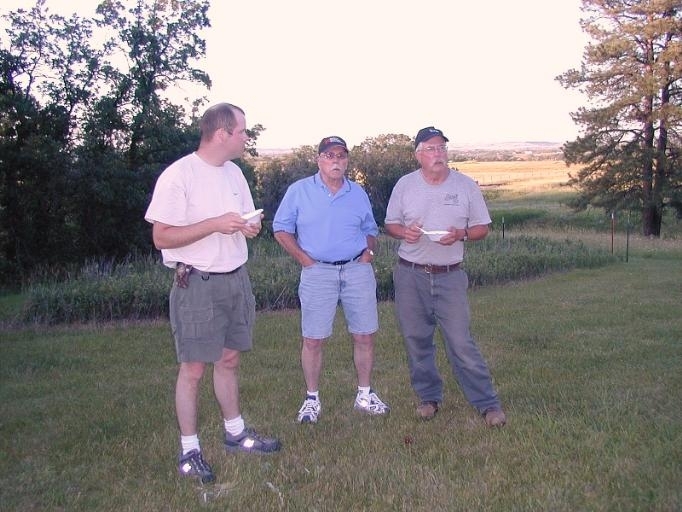 Shown lef-to-right are: Ryan Jennings, KCØGKF, Ray Telkamp, KØRNT, and Don Matthesen, KØHP. 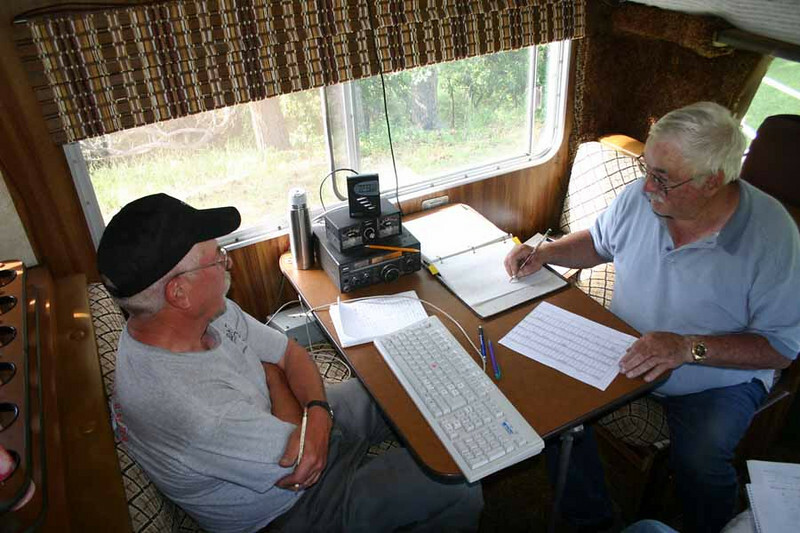 Don Matthesen (KØHP) again provided use of his call sign for Field Day. 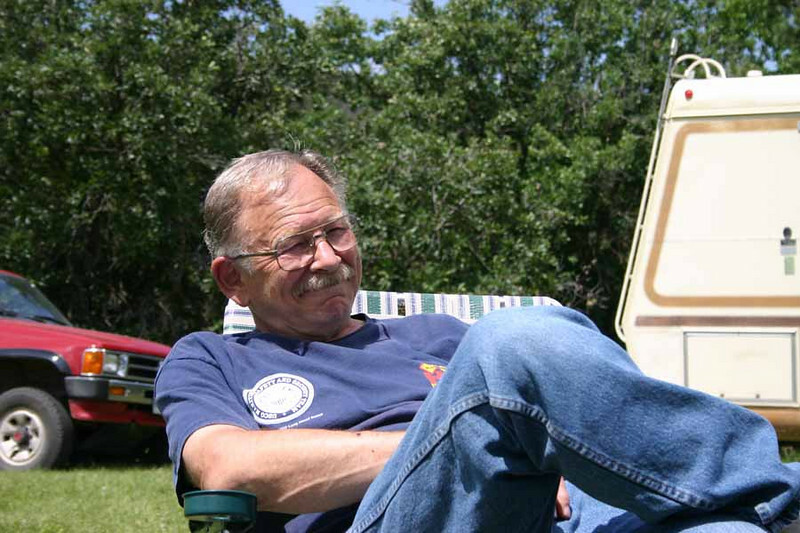 Don and Gene at a moment of rest. 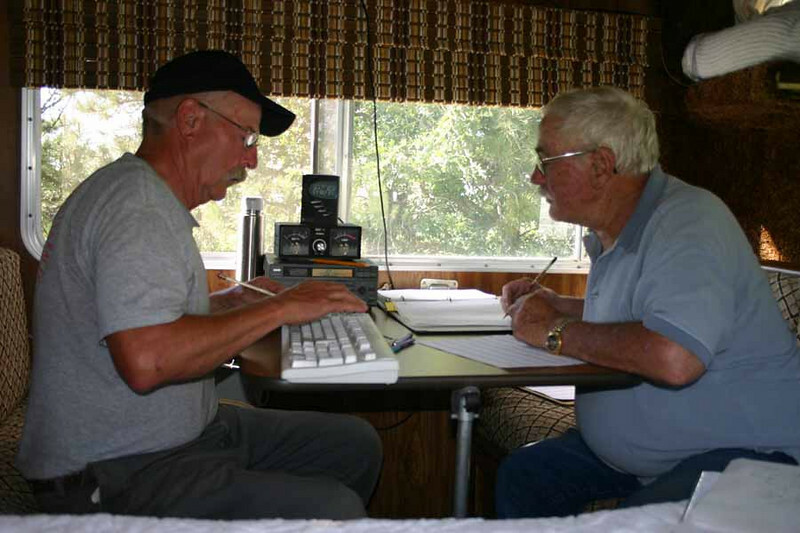 Don and Gene back at it, although hampered by Gene's inability to write with his left hand. And after the event, it's time for a breather. This is Don Matthesen, KØHP. Harry Irwin, KFØQB, was on hand to provide a bit of levity and moral support. A nifty routing system provided maximum access to all antenna arrays. 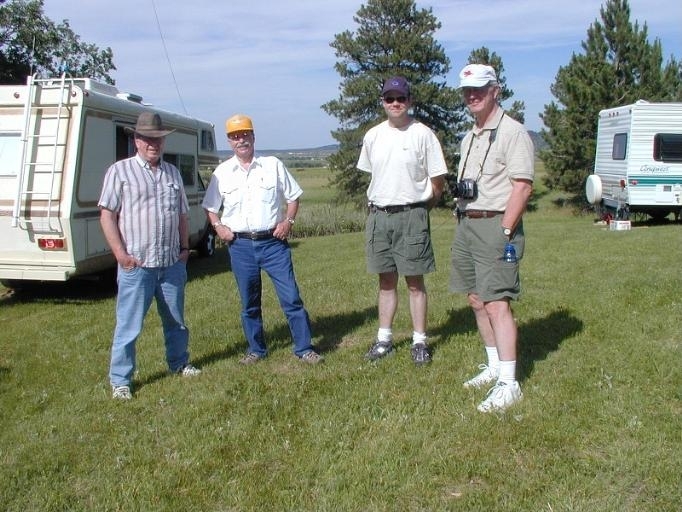 Left-to-right: Arne, George, Ryan, and Larry, during Field Day 2007. 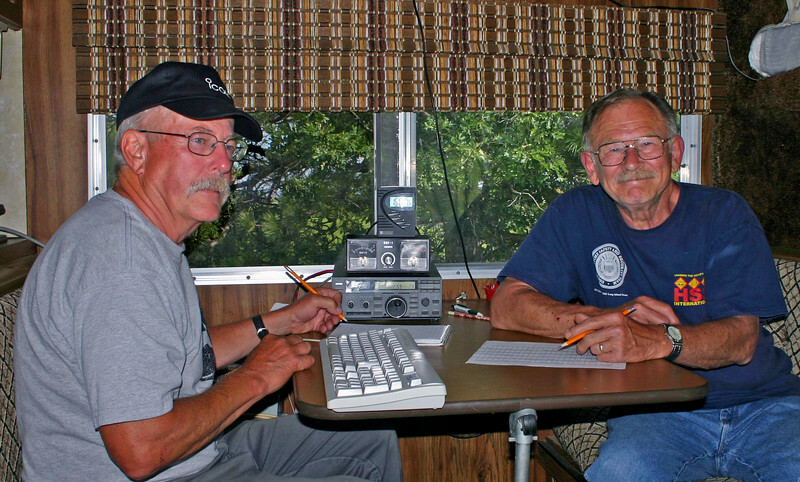 Don and Bob, shown here during Saturday afternoon operations, led the left-handed charge! Arne, George, Bob, and Ryan take a moment to pose for the camera.